The Drive to Define and Defend: A Smile can Crack the Armor – Behavior Matters! Today started out like any other day, the alarm clock buzzed, I consumed massive amounts of coffee, and then I drove to a conference center for our company’s annual strategy meeting. I entered the conference center’s lobby and I was immediately greeted by the person at the front desk with a big smile and a, “Good Morning, how may I help you?” I responded by asking where a particular conference room was and with the same smile and cheerfulness she directed me to the appropriate room. The entire exchange took less than 5 minutes but it left an impression on me. I started to wonder what my day would look like if every day someone greeted me with a smile and a sincere desire to help me. We live in interesting times and many individuals are guarded and their Drive to Define & Defend is in full force. Besides putting on clothes for the morning, individuals are adding an additional layer of invisible but very real armor to protect them from the hostilities of the outside world. It is a very natural defense mechanism to want to protect ourselves from the ‘yuck’ of the world. I think about Disneyworld and how it is a very popular attraction for kids and adults. Why is it so popular? It is the one place on earth where adults are given permission to dream, to believe in magic, to shed their armor, and let down their guard. 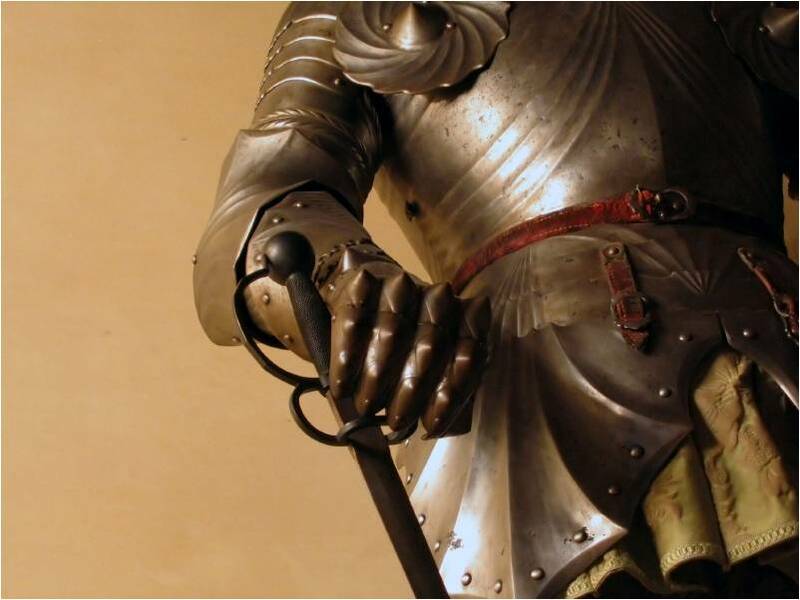 Carrying this extra armor around of protection is physically, mentally, and emotionally draining but the thought of not carrying it around frightens even the strongest of us. Protecting ourselves is a strong motivator and one that is more instinctual then deliberate. But sometimes a smile from another individual can crack the armor and allow a brief moment of respite. Today would be a great day to send out a smile to a stranger, it is free, it is easy, and it could provide an oasis of hope in a world full of ‘yuck’ for someone just in time.